Dum Aloo recipe made UP style was a favourite at my home. There was a special Dum aloo spice mix that dad used to bring from Allahabad which was really delicious. But in its absence mum made do with garam masala. This recipe is simple comfort, home food and is only slightly different from the famous Kashmiri Dum Aloo recipe. 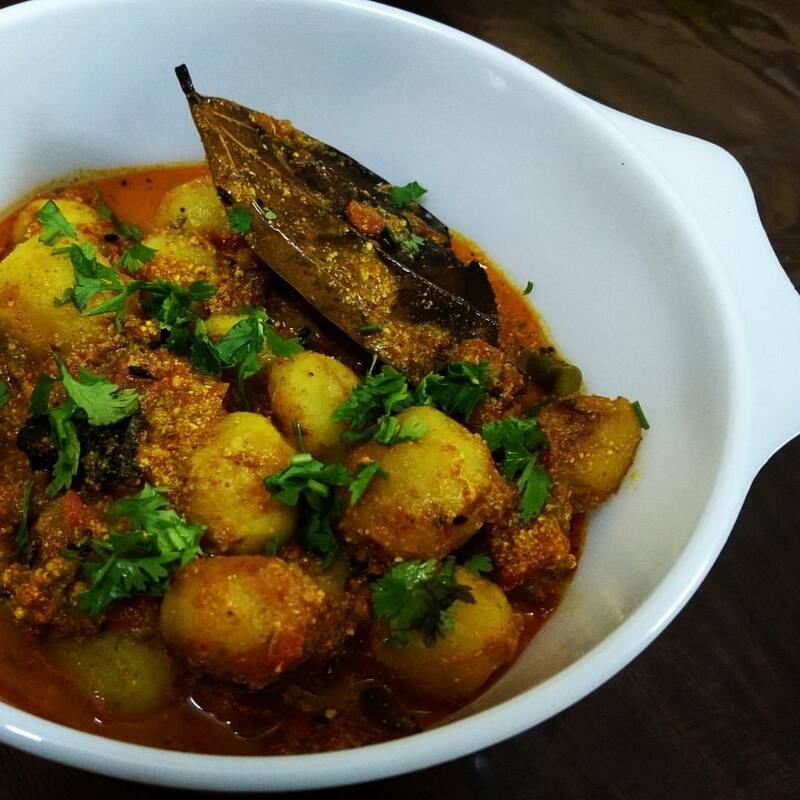 Dum Aloo recipe is a delicious curry made with baby potatoes, curd and select spices. Dum aloo is spicy and tangy and goes really well with rotis or rice. Parboil the baby potatoes either in a pan or a pressure cooker. Make sure it is slightly underdone. Now let them cool and peel them. This is the most time-consuming process and takes about 15-20 minutes. Pierce them with fork and keep aside. Now heat ghee/oil in the pan. Lightly saute the potatoes till they are golden brown and keep aside. Some people deep fry the potatoes but I avoid doing that. Now use the ghee/oil left in the pan. Add in all the whole garam masala (cumin seeds, bay leaf, cinnamon, cardamom and cloves). Fry for a minute. Now add in the grated tomato and ginger. Cook it for 5 minutes till the tomato looks cooked. Now add the slit green chillies and baby potatoes. Fry for about 2 minutes. Take the curd and beat it well. Add it gently to the mix in the pan after lowering the heat. Add in the turmeric powder, chilly powder, garam masala powder, saunf powder and coriander powder and mix well. Add salt to taste. Simmer it for 8-10 minutes keeping a lid on. If the curd curdles, do not worry. Just mix everything well. Add more water if you want a thinner gravy. If not you will get a thicker gravy. 1. Baby potatoes are the best for this recipe. But peeling them takes almost all of the prep time. 2. Using 1 tsp. Kashmiri red chilly powder gives the dish a beautiful red colour without the heat. 3. Deep frying the potatoes makes the dish tastier albeit adding the calories. 4. You can use 1 tsp. Degi or Kashmiri Mirch powder for its beautiful red colour and 1 tsp. regular chilly powder for taste. Serve dum aloo hot after garnishing with coriander leaves with rotis or boiled rice. It is simple and delicious home-cooked food. Let me know if you try the recipe. 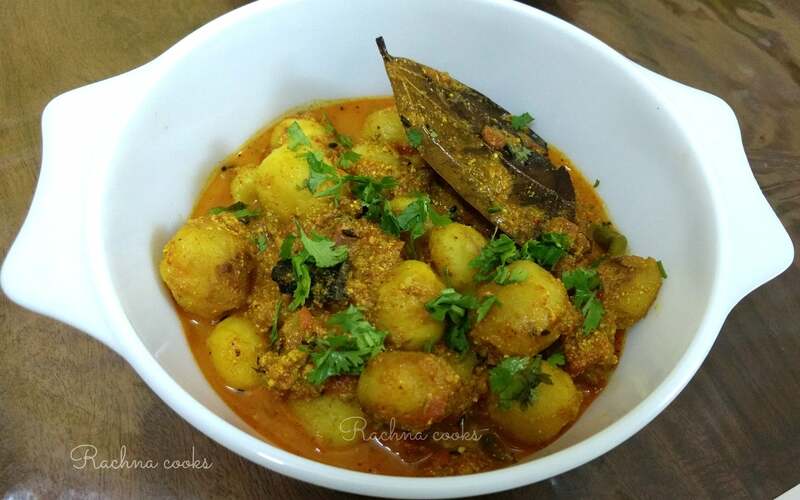 In case you try this dum aloo recipe, do share with me with #rachnacooks. Also if you enjoy the recipe, I would appreciate if you can pin this. 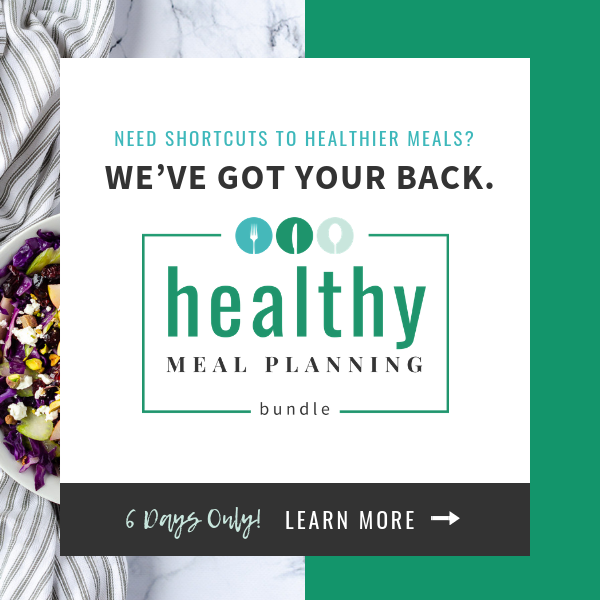 Would love to connect with you on Facebook, Twitter or Instagram as well. Yummy in my tummy. Aaj kal I don’t get any taste in food due to fever and all. 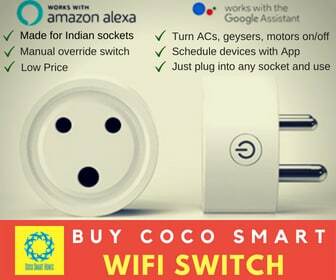 Will try this on the weekend and see ? Awww Feel better soon. Hope you enjoy the recipe. Haven’t made it in long…a reminder to ask Saru now ? Saru is going to hit me for the reminders. ? Hope you enjoy it. Love the colour of the dish. It’s looking so tempting. And this reminds me that it’s been ages since I have made/eaten dum aloo. Will look out for baby potatoes on my next veggie shopping visit and try your recipe. Thanks. I hope you do make it and enjoy it. MMMM, I could practically smell the spices. Love Indian food so much and enjoy having it when I can as I am not much of a cook, even for usual bland Canadian fare. This sounds yummy! I do like Garam Marsala. Our friends from Bangladesh gave us some of that. Delicious. Thanks Cathy. Oh yes, garam masala is so important to us. Haven’t made this for a long time… Drooling and would try it out. This I’m going to try. Oh I didn’t know curd Is an ingredient too in this recipe. I could already smell it… Looks so yumm ?? Thanks. Oh yes curd is important. Thanks, Tarang. I am glad you tried it and enjoyed it. Potatoes in tomato gravy… with a dash of saunf! Hamari Amma (nani) aise hi banati thi. Vo khushboo aur swad yaad dila diya! Hai, dil khush kar diya, nani ka zikr karke. I can still close my eyes and see what my mum used to cook. Oh this sounds so yummy and easy to prepare. Thanks Soumya. Hope you liked the recipe.